Can Someone Sue You for a Virginia Car Accident If You Have Automobile Insurance? Car insurance will protect you in the event you caused a car accident. If you are sued by another driver, your car insurance will represent you in court and pay for any damages up to the amount of insurance you purchased. However, in Virginia you technically sue the individual even if they have car insurance. Your insurance policy will protect you from personal liability up the amount of insurance that you purchased before you have to pay anything out‑of‑pocket. If you have $100,000 in liability insurance and you cause another person an injury worth $50,000, your insurance policy will cover the entirety of the claim. However, if you have the same $100,000 policy and cause an injury worth $150,000, you will be liable for the $50,000.00 over your insurance limits. Under Virginia law, when someone makes a claim against your insurance policy they will negotiate with the insurance company to try to come to a fair agreement. However, if they are unable to reach an agreement, the injured party will then be required to take the matter to court. By Virginia law, they will have to sue you to tap into your insurance policy. That means that you will be a named defendant even though you have car insurance. There are two important things to think about. First, to protect your future, it's imperative that you purchase as much insurance as possible. Did you know that a $1,000,000 policy is only a couple hundred bucks more a year? It's way more financially savvy to purchase a $1,000,000 liability policy, because you only have to pay a nominal amount to afford you a substantial amount of protection. 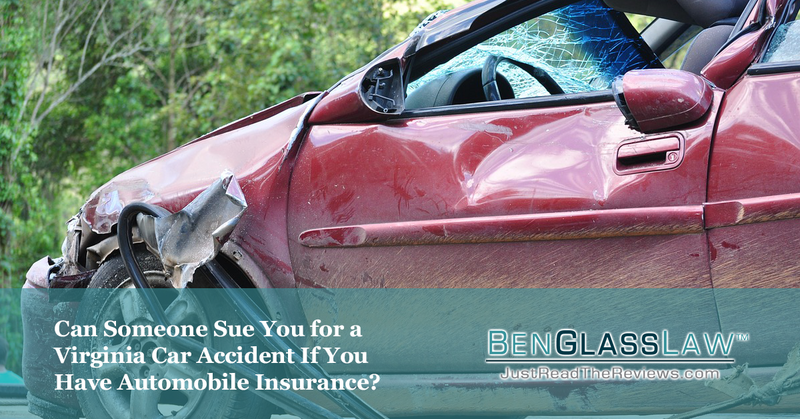 Second, you should communicate with your insurance company if you have caused an accident. If the insurance company denies the claim against you, or undervalues that claim, you will ultimately become a named defendant in the lawsuit. Even in scenarios where you don't believe the person injured was injured as badly as they claim, having your insurance company pay will help you avoid being sued and going to court. Therefore, if an insurance claim is paid out, though it may not be fun, it may very well be in your best interest. If your insurance carrier is being ridiculous in their denial of the injured party's claim, you should speak up. Remember, the insurance carrier does not have your best interest in mind. Their goal is to maximize profit by paying out as little on any claim as possible. If you believe that the injured party should be paid, you should let your insurance company know.